Dual Disc South Bend Clutch for Ford, Chevy and Dodge. All the Stats and Facts You’ll Ever Need to Know. By Peter Pyfer, SBC and Delton Sensenig, ECD. South Bend Clutch is a family owned and operated business that has been in the Clutch industry for 3 generations. Based out of Mishawaka, IN they have built a strong name as the leader in manufacturing a high quality, very durable & cost effective replacement clutch for every application. Whether you have a stock horsepower street drive truck, modified diesel truck used to tow heavy loads or an a competition sled pulling or drag racing truck, South Bend has a clutch that will fit your needs. SBC also has a Limited Lifetime Warranty. It covers the clutch for manufacturing flaws as well a component failure, but keep in mind that this does not cover wear and tear. 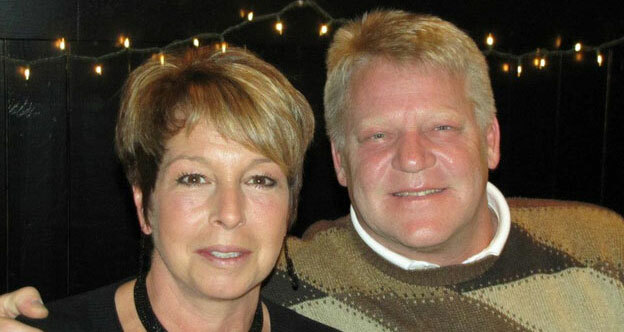 Meet Delton Sensenig, CEO, East Coast Diesel. 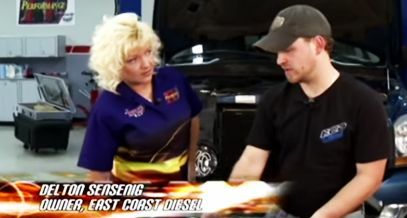 East Coast Diesel was founded in 2005 as a diesel pickup truck repair shop, and over the years a lot has changed. East Coast Diesel specializes in Diesel Sled pulling. We are active in the East Coast Pullers Lucas Oil Pro Pulling League. In January 2011 Delton Sensenig & Ben Moyer joined East Coast Diesel to form an equal partnership with Lamar Burkholder in an effort to propel the business to a new level. Pre-Interview Survey conducted by East Coast Diesel. With an aim to provide first hand and accurate information on Dual Disc South Bend clutches for Ford, Chevy and Dodge, the East Coast Diesel team initially conducted a survey and interviewed 100’s of customers to find out how happy they were after switching to the Dual Disc South Bend Clutches for their vehicles and if they had any questions which they needed answers for. After the survey, a final list of all the FAQ’ was shortlisted and Peter Pyfer was interviewed for answers. With years of expertise dealing with Double Disc South Bend Clutches, the ECD Diesel team augmented Peter’s answers with additional information based on their experiences. FAQ’s answered by Southbend clutch CEO, Peter Pyfer and East Coast Diesel’s CEO – Delton Sensenig. 1. How much noise is the South Bend dual disc clutch going to make once installed in my truck.? Yes, it makes a little amount of noise or rattle, whatever you may call it. It depends on the type of vehicle, which transmission, how the truck is performing, and quality of transmission. Over the Years, the Dual Disc clutch from South Bend has been known to be a noisy clutch setup. We at ECD Diesel have seen firsthand how the Street Dual disc clutch has become less noisy and lot quieter. We have found that some trucks have less noise/rattle than others. Very often, the noise that people associate with the Dual Disc Clutch can also be gear noise in the transmission which can make a racket. This is often different when people change a clutch due to the fact that with a heaver clutch kit, if there is wear in the transmission, it can cause a noise/rattle that was not there before and is often labeled as clutch noise or rattle or racket caused by the Dual Disc Clutch. 2. What has South Bend Clutch done over the years to reduce the noise/rattle and build a quieter dual disc clutch? Better designs for the dampened section of the clutch disc and anti-rattle center plates have reduced the noise substantially. We have seen SBC use a much heavier clutch hub, This has resulted in better dampening of the engine vibration through the clutch assembly and in turn created a much quieter clutch assembly. We have also noticed a reduction in noise/rattle with the implementation of pinned floater plates which keeps the floater from moving around when the double disc clutch is disengaged. 3. Since the Introduction of the SBC street dual disc clutch, has there been any changes to them? Over time, the weak points of the earlier designs have been addressed. 4. What are the changes that have been made? Using multi-friction materials, organic and ceramic, for better engagement. Silencing the notorious center plate rattle. Easier effort pressure plate. Better dampened clutch discs. Since the introduction of the Multi Friction materials, the dual disc clutch has become very smooth to engage. Most of the early style street dual disc’s used a 12 button ceramic friction. The ceramic friction was more of an on or off clutch, meaning you were not able to slid the peddle out without it getting to the point where it was either engaged or disengaged. This would result in a rough start while on a hill trying to start out or when backing a trailer around. Since the introduction of the multi friction, all these problems have gone away. These multi friction dual disc clutches will engage like a stock clutch and yet hold about 700rwhp. What more could you ask for. 5. How did those changes better the dual disc clutch? Reduced noise, ease of effort on clutch pedal with smoother engagement. 6. Does the SBC street dual disc have a hard clutch pedal? We have noticed that the clutch pedal on the South bend street dual disc clutch is often much lighter than the stock clutch pedal. It is often the case that when a customer comes to pick up their truck, after a South Bend Street Dual Disc install, that they question the fact that we actually installed a Performance or Heavy Duty style clutch due to the fact that the pedal is lighter than the stock clutch. 7. What types of friction compounds are used in a street dual disc clutch? The South Bend Street Dual Disc has a Performance Organic friction on the Pressure Plate side and also on the Flywheel side. Ceramic Friction on the floater plate side is used to hold the horse power that the diesel trucks are so easily able to produce. 8. Why are these particular compounds used? Organic for the smooth engagement, and ceramic for additional holding power. This is a material similar to the factory style material only specifically designed for SBC and is often times referred to as a “Performance Organic” The SBC Performance Organic also has some metallic material in the compound as well. The Performance Organic material will allow for a smooth engagement of the clutch as well as a little better holding power the the stock style organic compound. This friction is referenced in the SBC part numbers list with an “O” in the Suffix. This material is designed to be a very aggressive friction material. Ceramic is a compound that is designed to take a good amount of heat but also has an engagement more like a on / off switch where you find yourself either being engaged or disengaged. Often time this material can be abrasive to the surface of the flywheel as well. In order to use this type of friction material you need to have good amount of horsepower to keep this material from “Glazing”. Once the Ceramic compound is glazed due to not aggressive enough driving or lack of horsepower, it will often times not hold very well and cause a slipping issue. This type of friction is referenced in the SBC part number as “C” in the suffix. This material is a high-durability material more resistant to hard use. Kevlar has a Higher temp range in general, but can be ruined from overheating and will not return to original characteristics if over heated. If over heated the Kevlar material will be ruined and go to nothing. This type of friction is referenced in the SBC part number as “TZ” in the suffix. This material is a extremely high temperature material. The Sintered Iron is used in the competition application. This is often the material use in clutches referenced as slipper clutches. Sintered Iron must be used on special flywheels and must only be used in extremely high horsepower applications. 9. How does the SBC street dual disc clutch differ from a competition dual disc clutch? Competition clutches are designed for just that. They will have more noise, rougher engagement and harder pedal effort. The Comp style clutches will have a much heavier pedal due to a heavier pressure plate. A comp style clutch is designed to be abused and also take a lot of heat hence the reason that they are not a very smooth engagement and have a heavy pedal. The comp style clutch also has to have special certifications that will help ensure that they don’t explode due to heat in competition style use. a. How do I choose the right dual disc clutch for my truck? If you are going to do any drag racing, sled pulling or horse playing, the street dual disc is not for you. 10. What type of truck was the street dual disc clutch originally designed for? Higher horse power, heavy hauling/towing. We have found the best use of the Street Dual Disc is for the customer who has a truck that is used for heavy towing and has a couple of power adders such as chip or programmer, larger Injectors and or bigger turbochargers. When adding these types of power upgrades to your diesel truck you will produce more low rpm torque which requires a heaver clutch assembly. 11. How does a street dual disc clutch effect the longevity of my transmission? If you keep the rpms up while driving and shift properly the transmission will not be harmed. Towing in overdrive, while under load, will. The SBC street dual disc clutch is designed for street use. It is designed to not damage your transmission from normal day to day use. This is a heavy duty clutch that is designed NOT to slip in the event that you lug your motor into the low rpm’s where the most amount of torque is created. In a case where you have a stock style clutch and you lug in the low rpm’s, you will slip the clutch before it will create any damage, but in the dual disc it will not slip, meaning that if you lug the rpm’s down you do run the risk of putting extra unneeded stress on your driveline. 12. What is the difficulty of installing this Dual Disc Clutch; Can I do it myself? If you’re mechanically inclined there should be no problem installing the street dual disc. However, it is recommended to have a licensed mechanic do the work. dual disc clutch. The South Bend Clutch kits come complete with everything you need to install it. SBC has a very basic part numbering system. This system will help you understand and choose the correct clutch for your application. 0090 – 12 1/4″ clutch kit for the factory flywheel. Fits 5 speed Getrag & 5 speed NV4500 Transmissions 5.9L Dodge Cummins. 13125 – 13″ clutch kit with the 1 1/4″ Input Shaft. Must be used with upgraded flywheel. Fits the 5 speed Getrag, 5 speed NV4500 and the early 6 speed NV5600 Transmission 5.9L Dodge Cummins. 1947– This clutch will fit the stock style flywheel but can also be purchased with the flywheel. Fits the 6 speed NV5600 Transmission 5.9L Dodge Cummins. G56 – This clutch will not work on the stock flywheel and must only be used on Solid Style Flywheel. Fits the 6 speed G56 Transmission 5.9L & 6.7L Dodge Cummins. SDD – Street Dual Disc for Dodge. This kit will come complete with upgraded flywheel. SFDD – Street Dual Disc for Ford Trucks. This kit will come complete with upgraded flywheel. SDDMAX – Street Dual Disc for Chevy Trucks. This kit will come complete with upgraded flywheel. DDC – Competition Dual Disc for Dodge Trucks. This kit will come complete with upgraded flywheel. DDDC – Competition Triple Disc for Dodge Trucks. This kit will come complete with upgraded flywheel. FDDC – Competition Dual Disc for Ford Trucks. This kit will come complete with upgraded flywheel. DDCMAX – Competition Dual Disc for Chevy Trucks. This kit will come complete with upgraded flywheel. DDDCMAX – Competition Triple Disc for Chevy Trucks. This kit will come complete with upgraded flywheel. This is a question often asked. Why should I install head studs when replacing the head gasket on my truck? Why can’t I just use the factory style head bolt? At East Coast Diesel we sell a complete line of the ARP Fasteners. 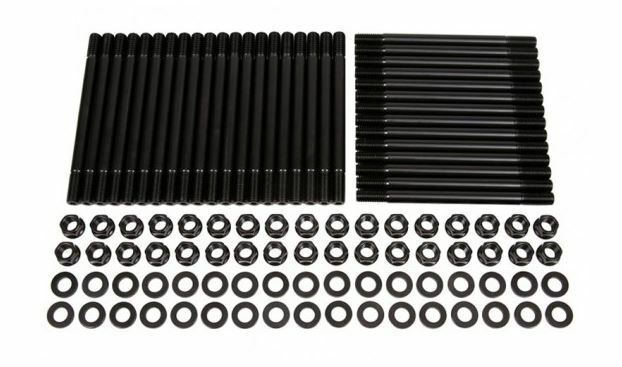 This includes Head Stud kits, Main Stud Kits as well as Rod bolts and many other applications. Let’s face it, who wants to take power away from their truck in order to keep it from blowing a head gasket, hence the reason to install head studs. Call and talk with our knowledgeable staff and allow them to help you select to correct fastener for your application!!! 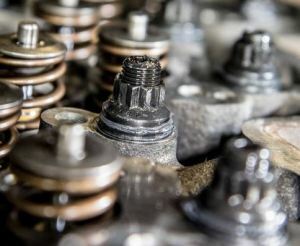 We all know that the Ford 6.0L Ford Powerstroke Diesel has had all kinds of issues; Blown Head Gaskets, Plugged Oil Coolers, Fried FICM’s, Cracked EGR Coolers, and the list goes on and on. There are all kinds of theories out there as to why these injectors fail and what can be done to make them last longer. There are additives, special oils, and so on. If you have tried all these magic formulas and your injectors are just too far gone to save them, you’ve likely decided you are going to go ahead and buy injectors for your truck. Now the question is which brand of injectors do you buy? You research, and there again you have all kinds of options, suggestions and theories. We’d like to help you address the issue of having to replace injectors in your 6.0L. At East Coast Diesel we believe that the best injector you can purchase for your 6.0L is the Genuine Motorcraft Injector. This injector is the only injector that has a New Spool Valve. The spool valve is in the top of the injector and is the number one reason for your truck to have a hard starting issue and a rough idle after startup. This spool valve actuates side to side at a very high rate of speed with a very tight tolerance allowing the high pressure oil to move through the injector causing the injector to fire. With lack of service, such as a good quality oil change on regular basis, these spool valves will wear, causing them to stick and hence the term injector stickage. Aftermarket rebuilders will reman the 6.0L injector for as low a cost as possible. This will often result in the spool valves being reconditioned and or tested and reused. With the spool valve being the number one reason for 6.0L injector failure, it would be a mistake to purchase an injector that has anything less than the a brand new spool valve! 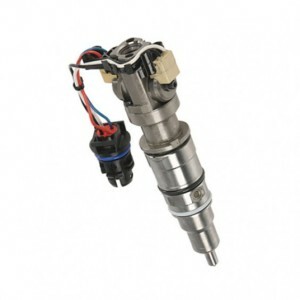 Call us today to get the highest quality Injectors for your truck!!! Start your holiday shopping off right this year with BIG SAVINGS & FREE SHIPPING* on brands you love & trust! ACT FAST! Many of these deals only go until 11:59 (EST) tonight**! HAVE A QUESTION? Chat with us online or give our knowledgeable staff a call today at (717) 861-7525! Look no further than the trusted line of AirDog Lift Pumps! 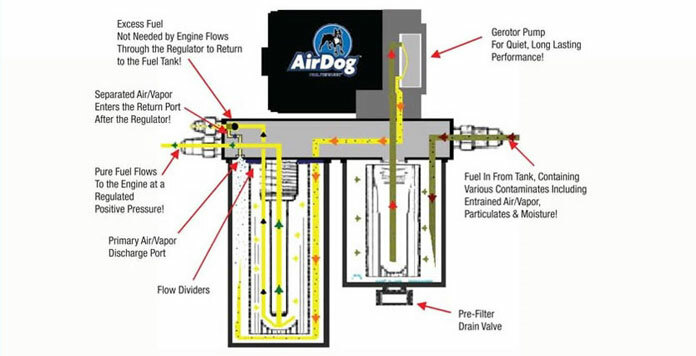 We carry AirDog Original, AirDog II, AirDog II-4G, Raptor, and Factory Replacement Raptor® Pump (FRRP) with just about any flow rate you find yourself needing! And now it’s much easier to find the pump you’re looking for! Find your lift pump now! Pre-Black Friday/Cyber Monday FREE gift card offer! LIMITED TIME FREE Gift Card Offer! 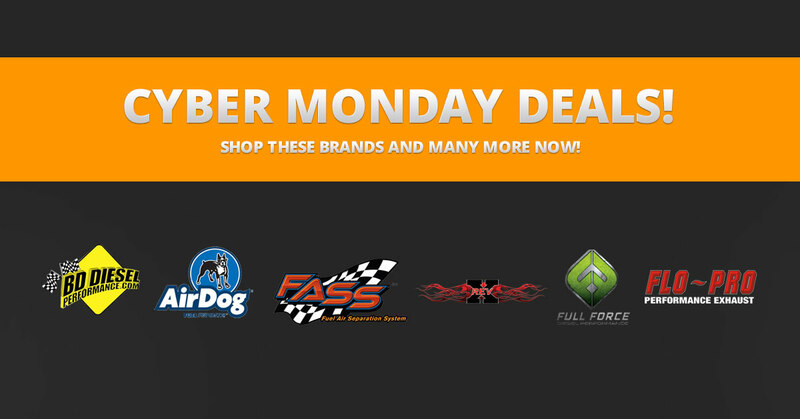 Start your Black Friday and Cyber Monday shopping early this year! Introducing ECD Gift Cards, a great gift option for the diesel enthusiast! With a price range from $5.00 to up to $2000.00, there’s sure to be one that fits your holiday budget. And from now until MIDNIGHT Thanksgiving Day, you can receive a FREE gift card with your order processed through ECDdiesel.com. This gift card will be automatically mailed out to you within 3 business days! Remember, this deal ends November 27th, Thanksgiving Day at MIDNIGHT, so start shopping now and take advantage of this great offer! Cold Weather Making Your 7.3L & 6.0L Powerstroke Diesel Heui Injectors Fail? If your Powerstroke is having hard start issues now that that the cold weather has hit, you may have failing Fuel Injectors. Failure in a HEUI (hydraulic electronic unit injector) style fuel injectors, which are used in the 7.3L & 6.0L Powerstroke motors, are common and often will start showing up once the cold weather hits. The failure of injectors is due to common wear and tear, but can also be amplified by poor maintenance and bad fuel. 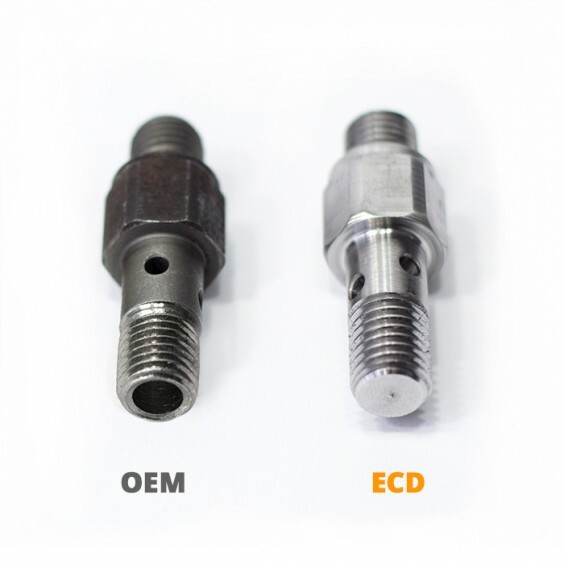 The HEUI Style Injector uses Engine oil to fire the Injector and therefore not changing oil on a regular bases or not using good quality engine oil can shorten the life of your injectors as well as running poor quality fuel. When colder temperatures hit, the oil thickens running through these injectors, which leads to them not firing correctly, in turn causing a hard start or even a no start. If your only option to start your truck once cold weather hits is plugging it in, then you need replacement Fuel Injectors. Full Force Diesel Remanufactures the 7.3L Injector and puts an “18 Month Warranty” on their Injectors. 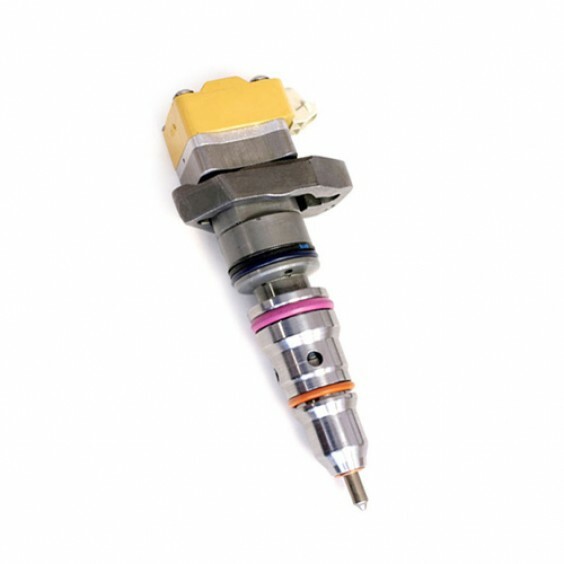 These Injectors are completely remanufactured to the highest standards. Full Force Diesel completely disassembled and rebuilt ground up to include only the finest parts. These parts include all NEW Plungers and Barrels, NEW Nozzles & Springs. Full Force Diesel also installs all NEW O-Rings and Crush Washer. To top all of this off the injectors are then Flow Tested and shipped in sets of 8 Injectors to ensure a less than 1% difference in the flow rates between the set. You can be sure that if you find yourself needing injectors, Full Force Diesel has you covered. You will not buy a Higher Quality Injector at a cheaper price and still have a “18 Month Warranty”. Have you found yourself struggling to find a replacement Fuel Return Banjo fitting after you broke one when replacing your head gasket? Previously this part couldn’t be found separately & you had to purchase a complete pump which would set you back upwards of $1,000. No longer! Introducing the Fuel Return Banjo Replacement Fitting on Injection Pump For the Ford Powerstroke 6.4L! We not only custom machined some for you, but also strengthened the design! This fitting goes on the top of the Injection Pump. There are 2 of these Banjo Style bolts that are used for the Fuel Return from the Cyl heads. Factory fittings are weak and very easy to twist & break off. These return lines must be removed when replacing head gaskets. This pump is located under the factory Twin Turbo setup – which makes it very difficult to get to. Get the fuel return banjo fitting now! 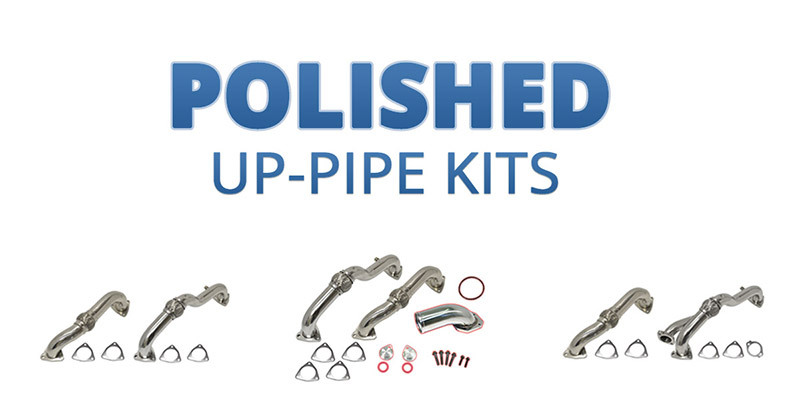 Many 6.4L Ford drivers are experiencing failure from their stock up-pipes. There are some solutions out there but Flo Pro took a different approach. The reality is that bellows in the OEM up-pipes don’t flex enough which causes stress – this stress then leads to permanent damage. Flo Pro is pleased to announce the release of their sleek & polished 304 stainless steel up pipes with reinforced interlocking braid flex bellows. The interlocking braid inside the bellows adds extra durability to the pipes. Flo Pro’s flex pipe material is then wrapped on top of the bellows to ensure these will outlast your stock pipe, and then some. These pipes are designed & built to last! Dodge owners rejoice! 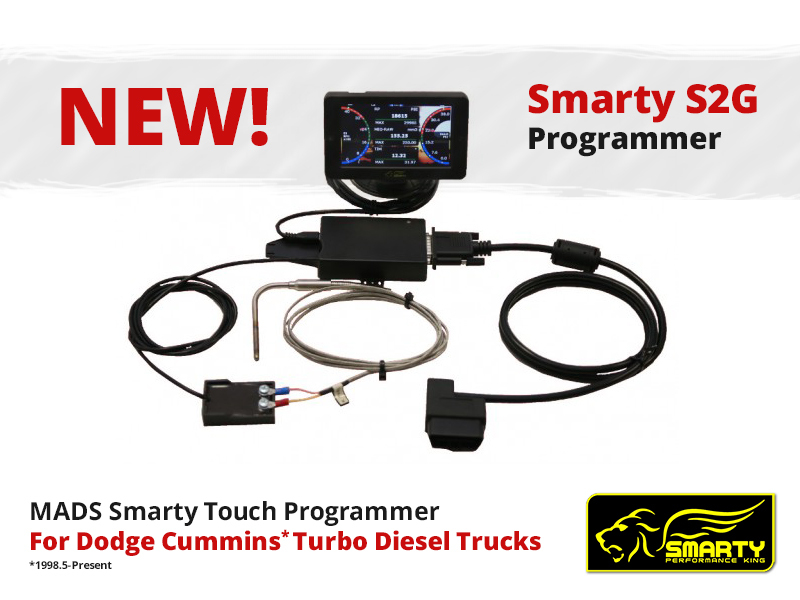 You can now tap into the legendary Smarty tuning world & monitor your parameters from right inside your cab! Supports over 300 SAE and Proprietary PID’s. GET THE S2G SMARTY NOW!